Shortlisted for the Man Booker Prize in 2013, A Tale for the Time Being rocketed to the top of my all-time favorite books list after two consecutive reads. It’s rich and deep, yet accessible. 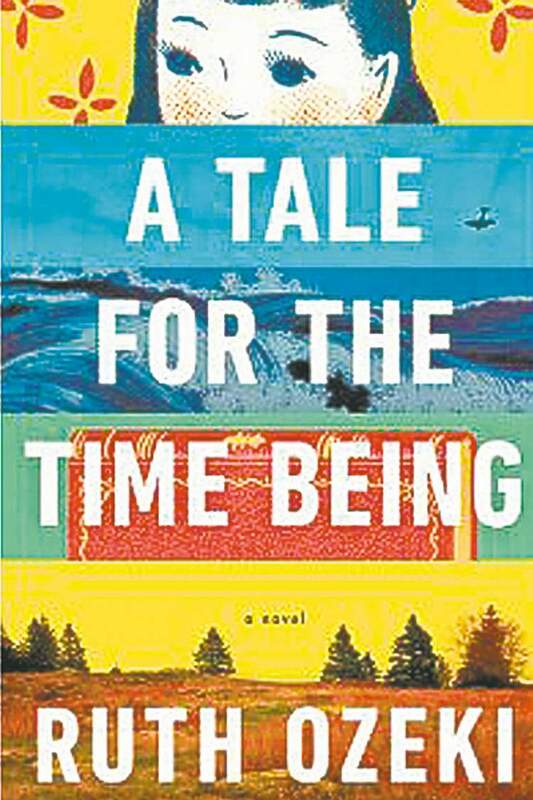 East / West, past/present, the relationship between the writer and reader, quantum theory, reflection, memory, regret, shame, cruelty, brutality, and pacifism are just some of the ground Ruth Ozeki covers in this stellar novel that left me thinking differently about how I perceive the world. I will probably be processing this book for the rest of my life. The twin protagonists, Naoko (Nao) Yasutani and Ruth, a blocked writer, are in the language of quantum theory, entangled particles — two things that share the same characteristics. Bravery, heroism, and the examined life take on new meaning viewed through the lens of this book. Highly recommended, and worth every time being’s time. To study the self is to forget the self. Maybe if you sat enough zazen, your sense of being a solid, singular self would dissolve and you could forget about it. What a relief. You could just hang out happily as part of of an open-ended quantum array. “Tadaima . . . ,” I called. Have I mentioned tadaima? Tadaima means “just now,” and it’s what you say when you come in the door to your home. Just now. Here I am. Dad didn’t answer, because, just then, he wasn’t. Finally I achieved my goal and resolved my childhood obsession with now because that’s what a drum does. When you beat a drum, you create NOW, when silence becomes a sound so enormous and alive it feels like you’re breathing in the clouds and the sky, and your heart is the rain and the thunder. Jiko says that this is an example of the time being. Sound and no-sound. Thunder and silence. …when I heard it again at my old Jiko’s temple, I asked her about it. She told me it’s called the Maka Hanya Haramita Shingyo,69 which means something like the Great Most Excellent Wisdom Heart Sutra. The only part I remember goes like this: Shiki fu i ku, ku fu i shiki.70 It’s pretty abstract. Old Jiko tried to explain it to me, and I don’t know if I understood it correctly or not, but I think it means that nothing in the world is solid or real, because nothing is permanent, and all things—including trees and animals and pebbles and mountains and rivers and even me and you—are just kind of flowing through for the time being. If you’ve ever tried to keep a diary, then you’ll know that the problem of trying to write about the past really starts in the present: No matter how fast you write, you’re always stuck in the then and you can never catch up to what’s happening now, which means that now is pretty much doomed to extinction. It’s hopeless, really. Not that now is ever all that interesting. Now is usually just me, sitting in some dumpy maid café or on a stone bench at a temple on the way to school, moving a pen back and forth a hundred billion times across a page, trying to catch up with myself. Her own name, Ruth, had often functioned like an omen, casting a complex shadow forward across her life. The word ruth is derived from the Middle English rue, meaning remorse or regret.